Have you ever wondered how skydivers communicate whilst in free fall? Do they have any specific language, or jargon, they use on a day-to-day basis? 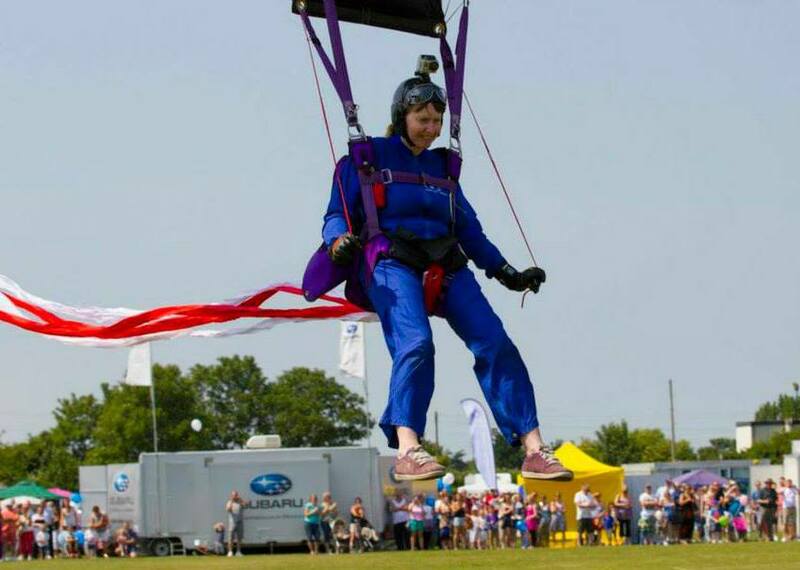 We have, and that’s why this month, we spoke to Jane, the Manager and Director of Skydiver Headcorn Ltd.
Give us an overview of what you do and what your role entails at Skydive Headcorn. 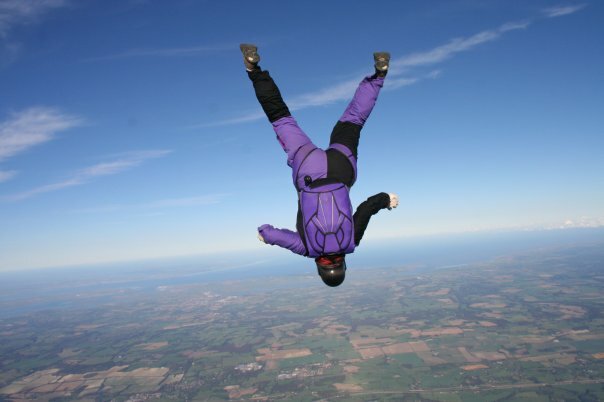 I am the Manager and Director of Skydive Headcorn Ltd. Our company allows people the opportunity to make Skydives and for this we provide facilities to train people and allow them to jump safely out of our aircraft. My role here is very varied, as in addition to being the Manager, I am also a qualified Skydiving instructor and Pilot. 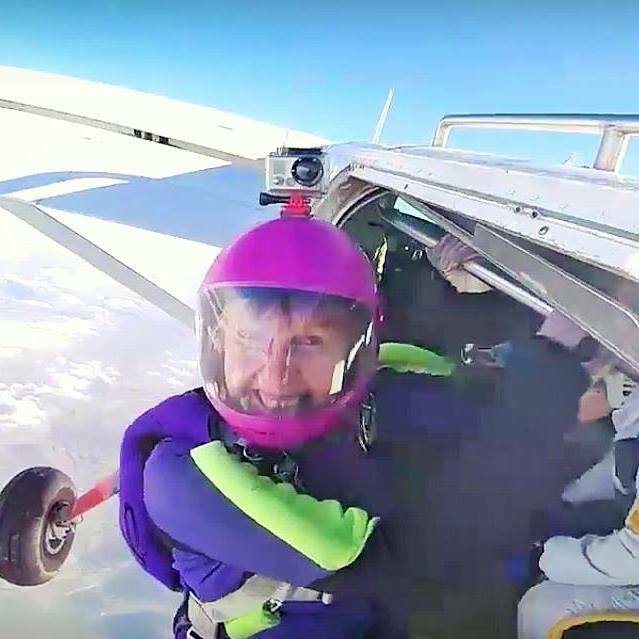 On a day-to-day basis, I can be answering the phone or replying to emails, maintaining a booking system, organising flights, dealing face-to-face with customers, packing or repairing parachutes, training people to skydive and jumping with them or flying the aircraft. Are there any words/jargon that are specific to your trade? Did you learn them on the job? When do you use and avoid using jargon? Lots of words are specific to our trade. Some refer to various bits of equipment, such as container, canopy, pilot chute, main, reserve and automatic activation device. Then we have terms such as flight line, packing shed, parachute landing area and dropping zone which refer to specific areas. We also have ‘skydiver speak’. These words are used all the time amongst skydivers and are learnt by being a part of our ‘club’ and mixing with us. We try not to use them when teaching beginners. I am a great believer in keeping it as simple as possible for learners and then building on that knowledge over time. In your job, how important is non-verbal communication? We have to communicate non verbally in free fall and have a series of hand signals that enable us to do this. Part of the training is learning the correct body position and this is always demonstrated so is therefore non-verbal. We have also trained deaf people! How much of your job involves communication? Is it an important part of your job? Roughly how many work-related conversations do you have in a normal working day, and who with? Communication is key to this job and the biggest gripe I hear from our customers is lack of it, so this is something we try to address daily, whether it is in person or over the phone. Communicating with staff and organising them is also key. I have many work related conversations daily with all my colleagues – instructors, pilots, office staff and airfield staff. I probably have in excess of a dozen conversations on the average working day. Do you often encounter customers who are non-native English speakers? How do you communicate with them? We would not train someone to solo jump who does not speak English but we would take them on a tandem jump. The information they need can be communicated by actions and hand signals and, in turn, them demonstrating that they have understood. We sometimes have phone calls from lower level non-native English speakers which can be difficult to understand. If I want to be sure I’ve gotten the right information, I will ask them to send an email. Has your communicative style changed over the years of your career? I have learnt to be much more diplomatic and to think about what I am going to say before speaking. With regards to teaching, I now include far less content on beginner’s courses than I used to 30+ years ago. I have learnt that less is more, paying particular attention to the must knows and should knows and a lot less of the could knows. Have you ever been involved in an incident (however minor) where miscommunication has caused a problem? Yes, lots of miscommunications. I have learnt that customers hear what they want to hear and not what is actually being said. For example, when we are asked “What time will I jump?”, the reply might be “We start jumping the afternoon arrivals at 2:30 pm”. This is perceived as “I will be jumping at 2:30 pm”. Another example of a common miscommunication is when we are asked how many people we take up in the aircraft. Our answer is “We put up to 5 tandem pairs in the aircraft”. This is perceived as “We put 5 tandem pairs on every flight”. I did not know what I wanted to be when I was growing up, but I always knew there was something exciting to do with aviation in store for me. My greatest achievements are raising twins from birth as a single parent and being the first female AFF/Tandem and Advanced Instructor/Examiner in the country. Many thanks to Jane for answering our questions! On the Job is our blog series in which we interview people across different professions to see how they use English at work. Interested in learning the jargon of a specific job? Ever wondered how people communicate non verbally at work? Check out more of our On the Job posts below to read more and have your questions answered!